The Stallions were honored to be selected by Special Olympics Minnesota to represent TEAM MINNESOTA in Unified Flag Football at the 2018 USA Games. They made the most of this opportunity and made Minnesota proud by bringing home silver medals! Take a few minutes to get to know a little bit about the athletes, unified partners, and coaches who represented TEAM MINNESOTA at the 2018 USA Games. 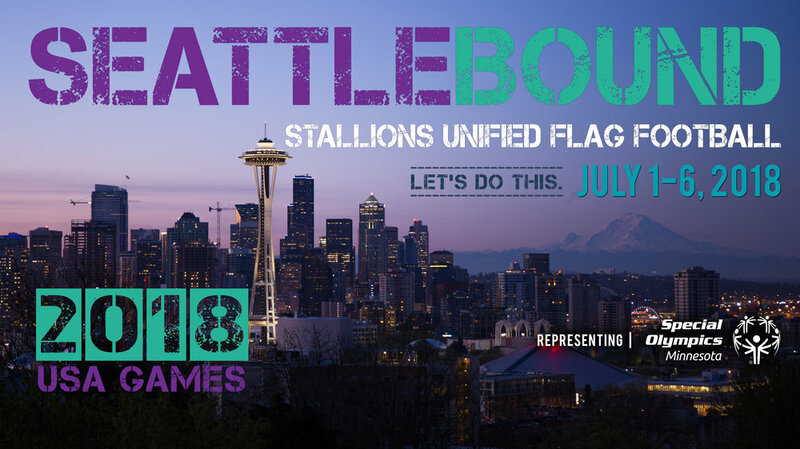 Keep up on all that's going on with Stallions Unified Flag Football/TEAM MINNESOTA as we prepare to represent Special Olympics Minnesota at the 2018 USA Games.